Hyman Minsky once argued that anyone can make money; the real trick is getting people to accept it. For the Metallists, gold or a precious metal’s intrinsic value insured money’s acceptance as a facilitator of exchange. While simplicity is often a strong characteristic, when it comes to money, a more thorough understanding of money’s source of value transforms the relationship between the market and the state. We often think of these two concepts as opposing forces struggling to direct economic activity. From this perspective, one might imagine the market as the strong lead character in pursuit of efficient solutions, and the state as a pesky nemesis taking resources from the market to achieve its own objectives. This plot, however, takes an unexpected twist in Modern Money Theory, as these two characters are revealed to be the same person. The real analysis claims of duality between the state and the market are the product of methodology. The “trick” is not that we accept dollars, but that the true source of their value continues to be largely ignored by economists, policy makers, and the general public. In 2011, renowned London School of Economics anthropologist David Graeber published a comprehensive examination of the historical origins and development of money, titled Debt:The First 5000 Years. 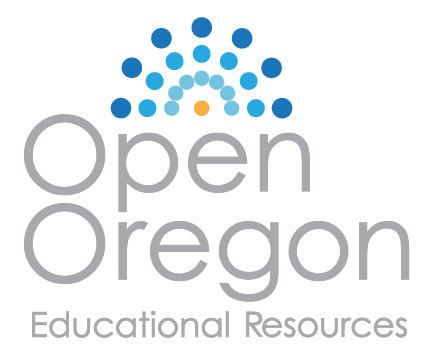 While all 5000 years are interesting, and students are encouraged to explore this exemplary work of scholarship, our focus is limited to the current economic system. This narrow focus will allow us to build upon the above ideas of Marx and Keynes and to develop an understanding of key concepts from MMT. The first of these concepts is the hierarchy of money. From this conceptual framework, we will explore the technostructure of money (see Chapter 16 The Megacorp). The collection of institutions that regulate money’s issuance or production, are similar to the market governance (see Chapter 16 The Megacorp) of business enterprises in that stability is a primary objective. Given the central role of money in economic activity and its origins with the state, the clear delineation between where the market begins and state ends is all but erased. We begin our analysis with MMT’s hierarchy of money. As a social relation, not all money is created equal. For example, by definition as a social relation, you borrowing a shirt from your roommate is a money transaction, as long as you promise to give it back. We call this an IOU. I had a friend in high school that literally carried around a notebook listing all of the people that owed him money (he now works in finance). These records represented promises to pay. For some of those entries repayment was completed and their name removed, for others, I’m sure they are still in that notebook somewhere in Ol’ Johnny Cocktail’s archives. These promises to pay were money transactions. They are two-sided balance sheet operations. Johnny extends credit to his friend; the friend takes on a debt to Johnny. When repayment occurs Johnny’s asset and his friend’s liability are terminated. Going back to Hyman Minsky’s comment, if one regularly borrows and repays Johnny rapidly, then both parties are willing to accept the terms of the social relation. However, if one does not repay, then future credit extension will not occur. Thus, it takes two to tango. This type of transaction between friends and family are so common, we would not generally describe them as money, because that seems odd. Similarly, borrowing a cup of sugar from your neighbor to make cookies and promising to give some of the cookies in exchange is an informal arrangement, but is still one of credit and debt and thus money. 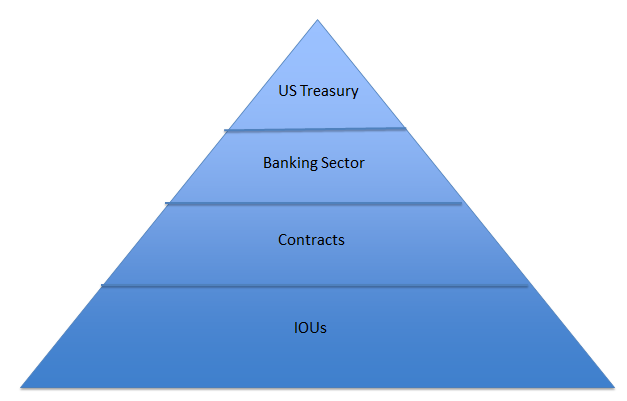 The informality of these transactions makes them difficult to enforce, hence they represent the money social relations at the base of our money hierarchy (Figure 2). What differentiates the common and largely unregulated IOU transactions from those that are described as we move up the hierarchy is the institutional formality and enforceability of those social relations. So the second level, contracts, might be promises to pay businesses, such as your network services provider. They promise to provide a service for a year, and you promise to pay a dollar amount for that service. They credit you with service and you pay back your debt. This contract, unlike Johnny’s notebook, is legally enforceable in dollars. If you or the network provider breaks your promise legal recourse is available. Moving on up the hierarchy we have the financial sector and then the U.S. Treasury at the very top. The formality and institutional structure of the social relations generated by these organizations are what place them at higher levels of this hierarchy. The financial sector is similar to the contracts created below it on the hierarchy, so we will focus our attention on the U.S. Treasury. The U.S. Treasury is unique, because by Constitutional Law it is the sole source of new U.S. dollar issue. This institutional reality is one of the most significant aspects of MMT, because in stark contrast to the Metallist’s story money comes from the state not the market. Figure (3) vividly displays the hierarchy in action. As you can see, as the red line goes into the negative (government deficit), the green line increases (private sector wealth), at a nearly 1:1 ratio. This relationship between public and private spending is described by the accounting identity equation know as sectoral balances. This equation states that the balance sheets of the private, public and international current accounts sectors of the economy sum to zero. If we were to close the economy and only have the public and private sector, then when the private sector spends more than it takes in (deficit spends), the public sector, by accounting identity runs a surplus. This situation rarely occurs. If we examine Figure 3, we see that in the early 2000’s a very brief period of government budget surplus took place, only to be followed by recession and a movement back to state deficits and private surpluses. Before pressing forward, let’s take a moment to summarize the hierarchy of money. Money is a social relation. It is a two-sided balance sheet operation or an IOU. It consists of at least two parties whom agree to a credit debit relationship. The hierarchy of money is characterized by the institutional constraints and enforcement of these social relations. At the top of the hierarchy is the issuer of the currency. The currency issued in the United States is the dollar. Rather than the dollar emerging in the market to solve the double coincidence of wants, the dollar comes from the state. This leaves us with the question of value. If there is not a precious metal or intrinsic value to the dollar, then where does its value come from? Value comes from a promise from the state to accept U.S. dollars as payment for taxes. This promise creates demand for dollars in the United States. The demand for dollars is what maintains the dollar’s value. Thus, MMT argues that taxes drive money. An important question that this raises is how does this impact the value of goods and services produced? Remember in the orthodox approach the prices of goods and services are measures of their relative values as they are traded in a barter system, but if we have a monetary production economy, then how are these activity’s values determined? Much of this was clearly outlined at the enterprise level in the Costs and Prices chapter and further analyzed in the Megacorp. Here we ask the question, how does our perspective on value change when we approach money as an industry with the United States as the monopoly producer? As the monopoly producer of the dollar, the Unites States government is not the pesky nemesis taking money from the market to fund its spending. Instead private markets and the financial industry are provided with the legal authority to create dollar denominated assets. This process greatly limits what is viewed to have value to activities that generate profits. This mode of utilizing money-issuing authority makes it very difficult for many in the economic system to participate in the dollar economy. Orthodox economics and the Metallist story argues that value creation is best handled by markets, rather than direct state spending. As the monopoly producer of the currency, it is a political decision about how money enters the system and assigns value. Many MMT theorists argue that the values of the community would be better met through a universal program for full employment. This would mean the monopoly producer would take more control over value creation to meet the needs of the public, than it currently does. 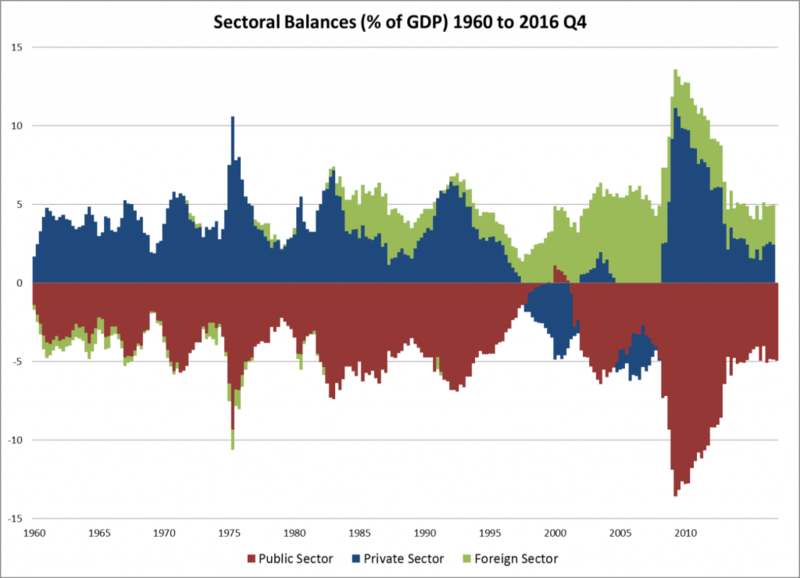 The sectoral balances relationship between the public and private sector, suggests that there is an intimate relationship between state and market activities. The approach taken by neoclassical economics suggests an antagonistic relationship based on real analysis. The foundation for this position is that the state must take money from the private sector to spend. The history and an institutional analysis of where money comes from debunk this foundation. If, as Keynes suggests, we live in a monetary production economy and all new issue comes from the state, then continuing to approach the market and state as hard duals is likely to continue to leave many outside of the dollar economy in states of unemployment and poverty. To further examine money’s ability to activate value, we will now turn to an examination of local currency systems. Local currency systems are experiments. These experiments are attempting to build understanding about the power of our most important social technology. Remember, we have defined technology as the application of scientific or organized knowledge of practical tasks. What could be more practical a task than to understand money? Stephanie [Bell] Kelton’s 2001 Cambridge Journal of Economics article “The Role of the State and the Hierarchy of Money” is widely considered to be a seminal piece in the development of Modern Money Theory.